A wastewater permit issued to the LCRA for its Sim Gideon steam plant holds one of the 80 permits that are in question by the EPA. The TCEQ has a significant number of draft Clean Water Act discharge permits which have not been issued pending resolution of various concerns raised by EPA. Of the 80 discharge permits of concern, a large number of these draft permits have been delayed due to issues regarding the toxicity of the discharges. There are significant environmental consequences to the continued authorization of discharges under expired permits. 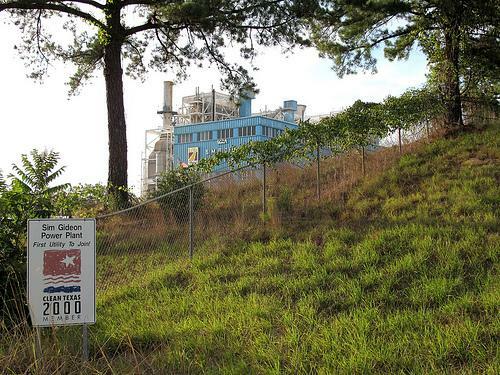 In some cases, EPA is concerned that expired permits continue to authorize toxic discharges. Water discharge permits need to be reevaluated every five years. While this is happening, companies can continue to discharge water until their permits are renewed or denied. The EPA is concerned with "whole effluent toxicity (WET)" tests. The EPA says some permits allow facilities to discharge water that is toxic to aquatic plants, fish and other organisms. The TCEQ shot back a response to the EPA's press release. It's perplexing to the TCEQ that after so many months and years of progress on this issue, a news release is the communication tool of choice. For many of the permits referenced, TCEQ is proposing other, more restrictive permit requirements, which have not yet been implemented because of EPA's unwillingness to work cooperatively on an effective solution for toxicity requirements. Cooling water intake structures cause adverse environmental impact by pulling large numbers of fish and shellfish or their eggs into a power plant's or factories cooling system. There, the organisms may be killed or injured by heat, physical stress, or by chemicals used to clean the cooling system. Larger organisms may be killed or injured when they are trapped against screens at the front of an intake structure.